At a tourist lodge in Amboseli National Park, Kenya. March 2011. 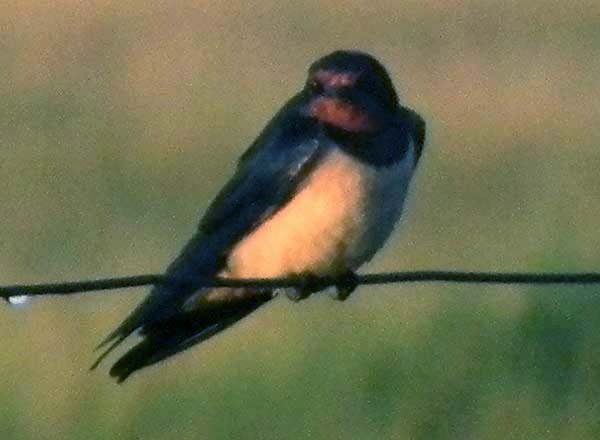 Swallows feed by capturing small insects on the wing as they swoop over pastures and ponds, places where insects abound. By winter this food supply becomes virtually non-existent in northern latitudes and so swallows migrate to the tropics to join the many other local swallows where insect food is availaible year-round if not so abundantly. 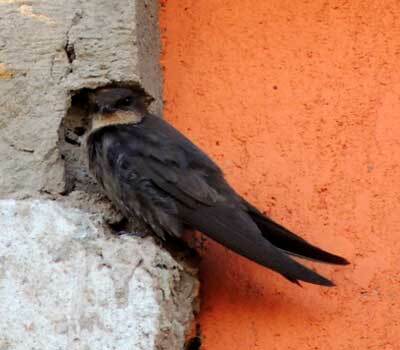 A juvenile Barn Swallow at Kitale, Kenya. May 2014. Barn Swallows also breed in Kenya and these birds can be seen year round.